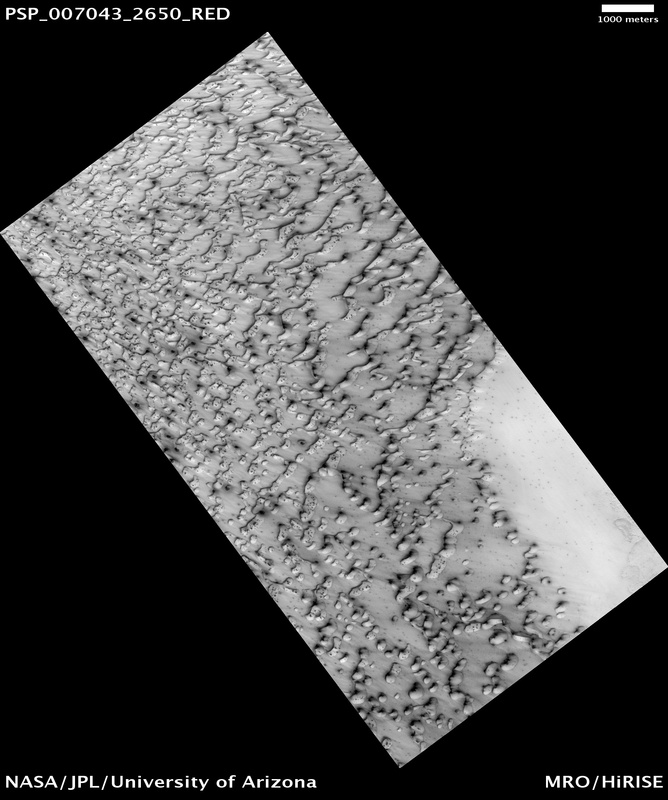 This image shows dunes near the North Pole of Mars. 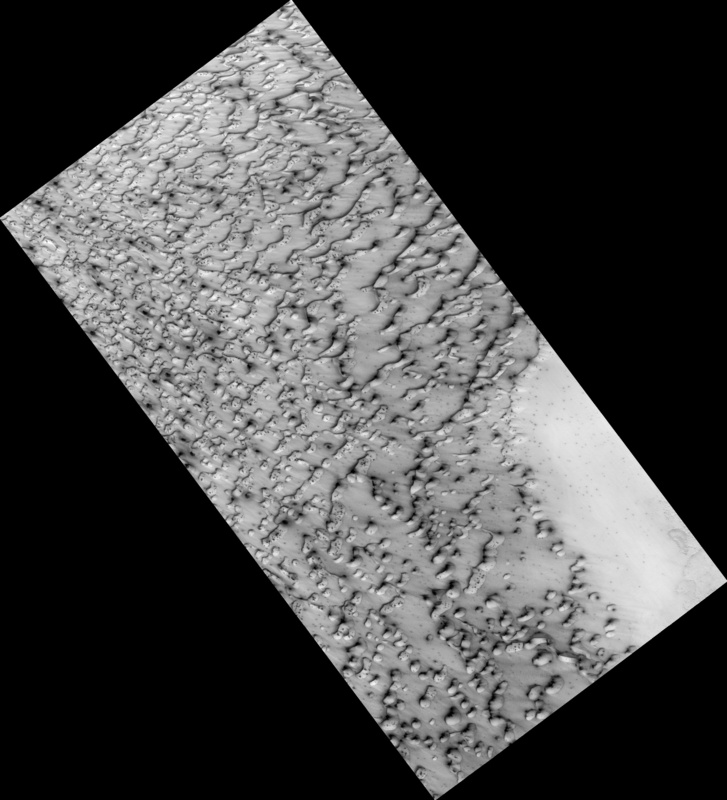 The North Pole is surrounded by a vast “sea” of basaltic sand dunes, and the dunes imaged here are similar to barchan dunes that are commonly found in desert regions on Earth. 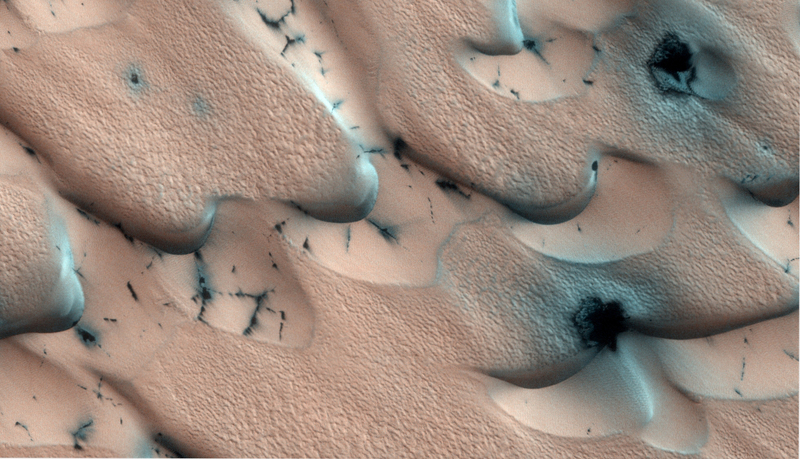 Barchan dunes are generally crescent-shaped with a steep slip face bordered by horns oriented in the downwind direction. 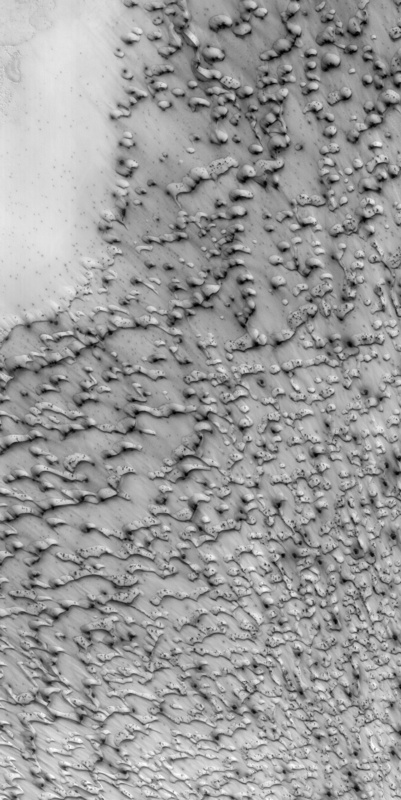 Barchan dunes form by winds blowing mainly in one direction and thus are good indicators of the dominant wind direction when the dunes formed. In this case, the strongest winds blew approximately south to north. The dunes and surrounding surface appear bright because they are covered with seasonal frost left over from the Northern hemisphere winter. Sunlight is now falling on the north polar region, and carbon dioxide frost that accumulated during winter is sublimating (going directly from solid to gas) and the surface beneath the frost is being revealed. 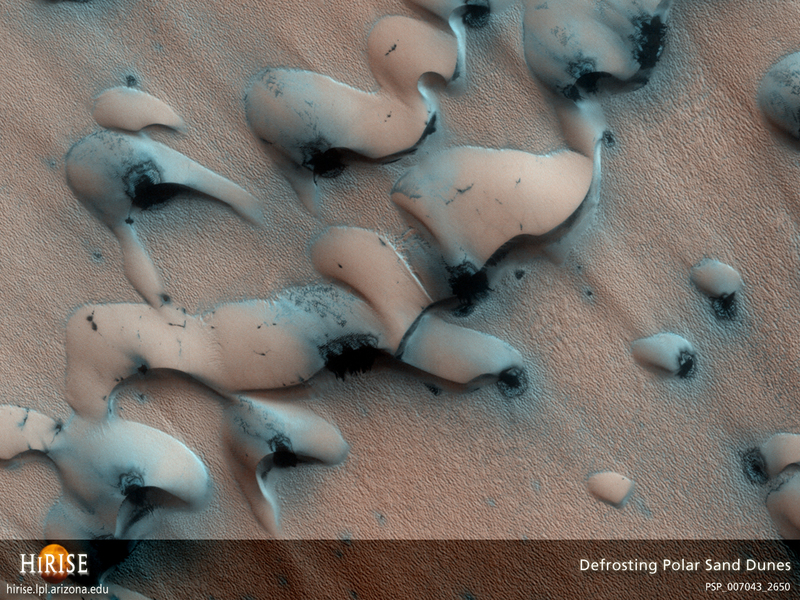 Composed primarily of basaltic sand, the dunes will appear dark during the northern hemisphere summer. 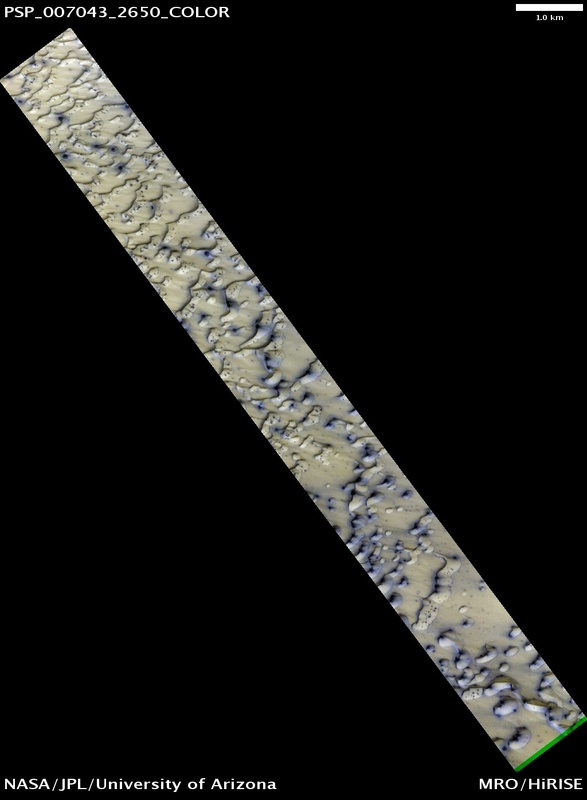 The dark spots are areas where some of this frost has begun to sublime away, and/or where wind has exposed the underlying dark sand.